Thank you so much Marie Claire Malaysia for featuring me in their September issue “Young & Restless” along with designer Alia Bastamam, Fay and one of my fav local talents Najwa Mahiaddin. This make-up artist was wonderful!! 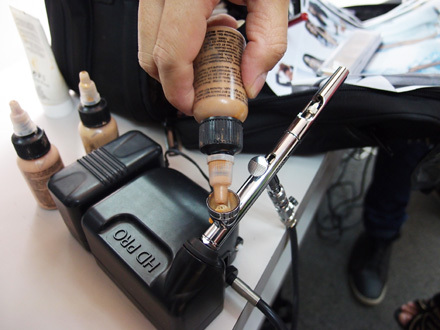 For the first time ever, I saw a really cool way of putting on flawless foundation. Honestly, if I could be bothered and had the energy to spray myself everyday, I’d so get me a set of those. And I looooved the hair he gave me. I get so sick of flat hair everyday that some volume really wouldn’t hurt. I wanted it to be even puffier and more afro like. Omg like Beyonce! But that would’ve totally ruined my hair for good. tweet on this before…u look super gorgeous love…. Cant help smiling when I read your proudest moment!! You’re a good aunt. 😉 Keep up the good work & stay pretty as always!! 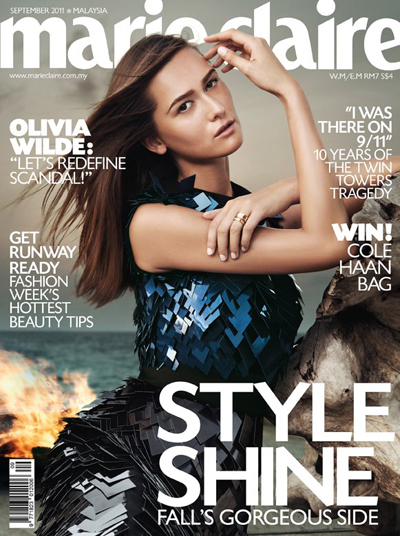 I saw your one-page fahsion insight in this month Harper’s BAZAAR Malaysia too. btw, you look great as usual. love ze hair. and I love the first outfit you wore – the top with the black skirt. who’s it by? “Young n Famous” …keep the humbleness in u!! so proud of u, miss Proud Quack Quack!! holy. I couldn’t recognise u!! I thought u were blogging about another person at that moment. hahah. love the hair! Hhaha,juz now i said that i found u frm my fb -fashion.valet.rupanya u co-founder FV. *blushing*…well,great to know u(wpon lom kenal)*wink* u really inspiring me!